It's not easy to figure out what's going on with election results in Iraq ... particularly because it all seems to be going on in Iran. IRAQI PRIME minister Nuri al-Maliki, whose State of Law bloc won 89 seats in the March 7th parliamentary election, is making every effort to overturn the result. Yesterday the panel disqualifying ex-Baathists said six winners would lose their seats. It is assumed that some will be from the Iraqiya bloc of Iyad Allawi which came first with 91 seats in the 325 member assembly, destroying his lead over Mr Maliki. In two posts at Commentary magazine's blog Contentions ("I Make No Apology, Ms. West" and "A Rare Praise for Andrew Sullivan"), Max Boot still hasn't addressed a single point from my analysis of David Petraeus' 1) written Senate testimony 2) spoken Senate testimony or 3) non-denial denial, all of which are in sync with the Arabist outlook that sees Israel at the center of the galaxy of ills that afflict the Middle East region and wider world. Recap below. Max Boot, who has taken the lead in defending Gen. Petraeus against the meaning of the general's own Senate testimony, has responded to a lengthy post I wrote parsing this testimony and related material without addressing any argument I actually made. Boot prefers to address one that he invented: namely, that I claim that Petraeus learned, or, rather, "imbibed" his Arabist, anti-Israel attitudes from Stephen Walt. This may seem like a minor point to argue, but Boot has misled readers. My arguments turn on Petraeus' own words, period -- words the general has not repudiated. Leaving my arguments unchallenged, Boot has resorted to fantasy. Mind-boggling how quickly the Jerusalem housing project sent the stars into re-alignment over Israel to shine down now on a new, official US vision of the Jewish state as an drag on US interests in the world, even to the point of endangering the lives of our troops. That was the message the Vice President delivered in Israel this month (“What you’re doing here undermines the security of our troops …”) according to Israeli media. The White House denied it. 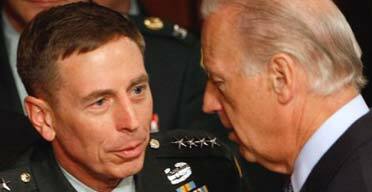 Updated: Petraeus "Sets the Record Straight"? The American Spectator reports that Gen. David Petraeus has "poured cold water" on the controversy caused by reports, later corroborated by testimony he submitted to the US Senate Armed Services Committee, that he views the Israeli-Palestinian conflict as driving unrest in the Centcom region, which includes Iraq and Afghanistan (and all that that implies for the security of our troops). After first dwelling on a detail of minor importance (that he didn't ask the White House to extend Centcom's jurisdiction to include Israel and the Palestinian Authority), he turned to the crux of the matter, his Senate testimony. In addition, [Petraeus] explained that the quote that bloggers attributed to his Senate testimony was actually plucked out of context from a report that Central Command had sent the Armed Services committee. The enduring hostilities between Israel and some of its neighbors present distinct challenges to advance our interest in the AOR (Area of Responsibility). Israeli-Palestinian tensions often flare into violence and large scale armed confrontations. The conflict foments anti-American sentiment, due to a perception of U.S. favoritism for Israel. Arab anger over the Palestinian question limits the strength and depth of U.S. partnerships with governments and peoples in the AOR and weakens the legitimacy of moderate regimes in the Arab world. Meanwhile Al-Qaeda and other militant groups exploit that anger to mobilize support. 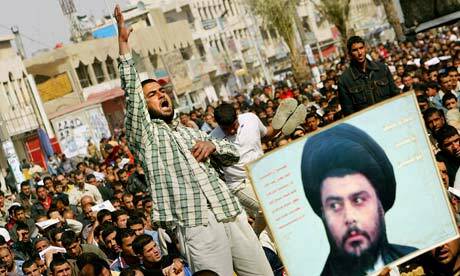 The conflict also gives Iran influence in the Arab wolrd through its clients, Lebanes Hizbollah and Hamas. Is That American University, or Walk On American Flag University? Hamid Mowlana, American University prof and Ahmadinejad advisor visiting Iran in 2008. MEMRI (via Andrew Bostom)has the gorey details. It's the time. And the energy. And the concentration, the singular focus of brains and resources that will be required to mount the essential effort to repeal the government takeover of medicine in this country. That's the worst thing about Democratic Party Health Care. It is as if we have before us a Cold War to wage within our own country against a new, existential, communist threat -- the US Government. This is to our great detriment, and particularly regarding the increasing inability on the part of those engaged in repeal-work to focus on every other urgent threat out there to life, liberty and the pursuit of happiness in these United States and allied nations in Europe and Israel. Fact is, the ongoing and dangerous tectonic shifts don't stop just because the Democrats rammed health care over the line. We have to wait until 6pm or thereabouts to find out if the Republic as we thought we knew it will be lost to medical-collectivization, which is not for nothing a riff on Soviet-style Kulak-collectivization. All eyes on the Congress. First, it sounded as if Gen. Petraeus were channeling Walt (if not Mearshimer) in his Senate testimony when he invoked the Arabist narrative regarding the "conflict" between Israelis and Palestinians: namely, that Israel is the font of all Islamic violence in the world that the US has to deal with (although how Israel has anything to do with, for example, Muslim massacres in Nigeria, Thailand, India, Pakistan, etc., is never explained). It was just poisoned icing on the cake that Walt was one of Petraeus' thesis advisors back at Princeton in 1987. Your blog on Petraeus makes me wish it's all a "24" episode and I'll grab the remote and delete the story out of existence. The quiet hero-general of the Iraq war gets promoted to regional responsibilities amid talk of a possible presidential bid. His unfairly maligned patron/President/Commander-in Chief leaves office, replaced with a flamboyant Leftist who starts gutting the military and replacing Ollie North look-alikes with Janet Napolitano look-alikes. 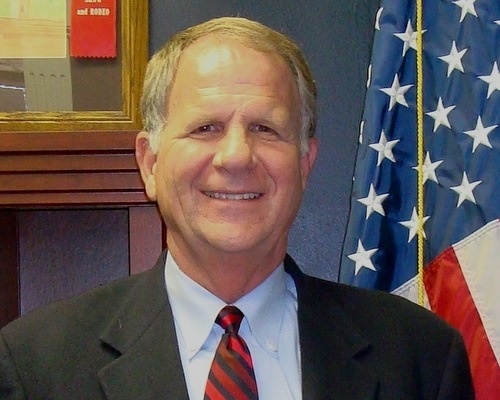 Just when you think the gutting and compromising with jihad can't get any worse, it cuts to a Pentagon meeting with the Joint Chiefs where the totally compromised Arab lackey Michael Mullen is saying, "So, gentlemen, it's time we move on Israel ...."
COIN Is Always Having to Say You're Sorry, Cont'd. MARJAH, Afghanistan — Crouched on packed earth at a barricaded Marine encampment, the village elders issued their complaint: U.S. troops had killed an innocent 14-year-old boy. Secretly, the Marines didn’t believe them. No matter. They apologized, called the death a tragedy and promised to offer a condolence payment to the boy’s family. Here we see the act of assuaging "Arab anger" -- something of primary concern to Gen. Petraeus and the Obama administration -- in its wider Islamic context: Apologize for no reason and pay up. Or, in Islamic terms, prostrate one's self as befits an infidel and offer jizya-style protection money. Call it the COIN/sharia twofer. Gen. Petraeus: Channeling Walt (If Not Mearshimer)? Phew. We can breathe easier now that the Obama administration has taken a tough-as-scimitars line with Israel, whose existentially threatening architectural blueprints for new housing, the administration says, pose a dire threat to U.S. troops and interests. Or, as Vice President Joseph Biden put it, referring to a new housing project in Jerusalem, as reported by Yedioth Ahronoth: "This is starting to get dangerous for us. What you're doing here undermines the security of our troops who are fighting in Iraq, Afghanistan and Pakistan." In other words, maybe it's not the Muslim-made IED planted in the roads of Helmand Province that's the problem; maybe it's the Jewish-built condo in Jerusalem. Such is the babble of the jihad-blackmailed. And the problem with giving in to blackmail is that it never ends. 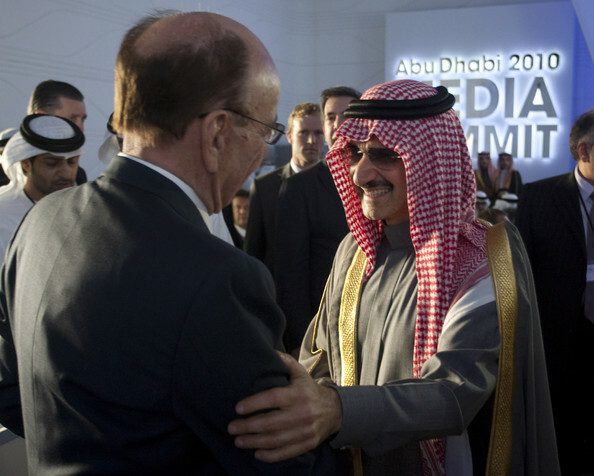 Power clasp: Murdoch and Talal at the Abu Dhabi Media Summit last week. Insufficient progress toward a comprehensive Middle East peace. The enduring hostilities between Israel and some of its neighbors present distinct challenges to our ability to advance our interests in the AOR. Does he mean by "enduring hostilities" the fact that the Islamic world wants to eradicate Israel? I have had the pleasure of visiting your exquisitely beautiful German town, the second member of my family to do so. The first was my dad, who, as a member of the 102nd Cavalry Reconnaissance Squadron in Gen. Bradley's Army, had, with time out to recuperate from wounds incurred at the Battle of St Lo, fought across nothern Europe from D-Day plus 2 until reaching Monschau by the end of 1944. I only bring this up because I read this morning that you have declared Geert Wilders, who recently weekended in your town, "not welcome" in Monschau. "People who, just like Mr Wilders, encumber the Dutch integration debate with right-wing populism and who want to ban the Qur'an, comparing it to Mein Kampf, are not welcome in Monschau," you are quoted as having said. Last June, I noted Gen. David Petraeus's MoveOn.org-like take on Guantanamo Bay -- close it because it causes us problems and violates (unspecified) Geneva Conventions -- and his willingness to attribute to the Palestinian war on Israel "justifications" for the existence of Hezbollah. 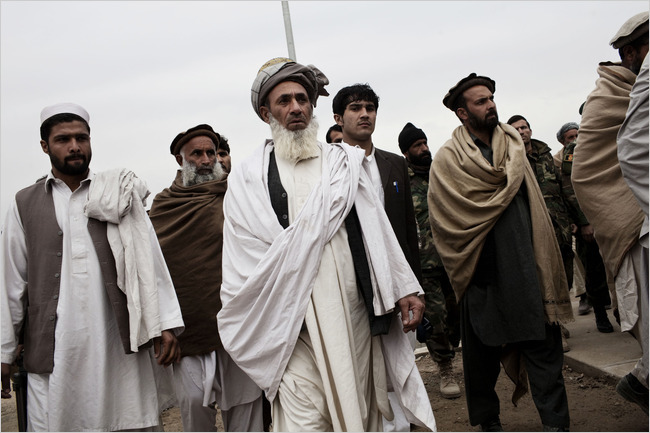 Shinwari tribal elders arriving to pick up their US booty, I mean, convene a shura: Quick, Mohmand subtribe or Alisher subtribe? Or Khogyani, perchance? And does it make any difference to US national security?? Mr. Speaker, freedom of speech continues to be shouted down by the politically correct police. In the Netherlands, it is against the law to say something that offends someone else’s religion. That is why Dutch lawmaker Geert Wilders is on trial for hurting people’s feelings.He made a movie about terrorists and radical Islamic clerics encouraging violence in the name hate. Now he is on trial for insulting Islam. He is charged with discrimination and incitement to hatred. Because Dutch law is intolerant of intolerance.The Dutch courts say even truthful insult speech is a crime. Sounds like the law has become the enemy of free speech and a protector of the radicals. When Glenn Beck, Charles Krauthammer and Bill Kristol each from their respective Fox News perches branded Dutch political phenom Geert Wilders as beyond the political pale, it was shocking and outrageously so, and for several reasons. Andrew Bostom: "Qaddafi, Wilders and the Jihad against Switzerland"
When Qaddafi's Libya is "satisfied" something is wrong. Andrew Bostom has published an essential and timely essay at Pajama Media throwing the light of the ages, historically and Islamically speaking, on Qaddafi's declaration of jihad on Switzerland for its act of self-determination to ban construction of the tool and symbol of political Islam, the minaret. And yes, as the title of this post promises, he also sets the recent electoral successes of Geert Wilders into the context of European pushback against such outbursts of Islamic aggression and continuing demographic colonization. This sketch almost got a man killed. Sorry, Sharia-inspired assassins almost killed a man over this sketch. STOCKHOLM — The point of a caricature depicting the Prophet Muhammad as a dog was to show that artistic freedom allows mockery of all religions, including the most sacred symbols of Islam, the Swedish artist who created it said Wednesday. Update: The essential backgrounder on the whole story at Gates of Vienna. Lars Vilks — the target of an alleged murder plot involving an American woman who dubbed herself "Jihad Jane" — told The Associated Press he has no regrets about the drawing, which is considered deeply offensive by many Muslims. Perhaps in response to major viewer push-back, Fox News ("fair and halal") pulled its video clips of the two evening slams on Geert Wilders that appeared last night, first by Glenn Beck and then by Bill Kristol and Charles Krauthammer. That's right: Fox pulled the videos from all Internet sight. Prince Talal has pals and they all have pockets filled with Westerners. ABU DHABI, United Arab Emirates — With an economy based on pumping oil and landmarks that include one of the Mideast's grandest mosques, buttoned-down Abu Dhabi has little obvious in common with freewheeling media magnets like Hollywood or midtown Manhattan. This week, the Arab emirate is hoping the world takes another look. The city-state, best known of late for bailing out its flashier neighbor Dubai, is bringing together some of the industry's biggest names for a summit that will temporarily shift much of the world's media and entertainment elite to a luxury hotel on the Persian Gulf. Headliners at the event starting Tuesday include News Corp.'s Rupert Murdoch and Google Inc. chief Eric Schmidt. It was pile-on time at Fox News tonight as Glenn Beck, Charles Krauthammer, a gal whose name I missed [update -- A.B. Stoddard] and Bill Kristol all branded Geert Wilders beyond the pale tonight. Krauthammer said Geert didn't know the difference between Islam and Islamism -- never mind that according to Krauthammer's idea of Islamic scholarship, neither did Mohammed. In other words, a stomach-turning display -- or should I say halal? Fact is, this anti-Geert pundit solidarity will only delight Newscorp stakeholder Saudi Prince Alwaleed bin Talal. That's because it is Wilders in the Netherlands who stands as the unexpectedly strong spearhead of resistance to the Islamization of Europe and the wider West. As a scion of the most powerful sharia dictatorship in the world, Prince Talal doesn't like that. How fortunate for him that Fox News doesn't like it, either. When the Netherlands' Party for Freedom leader Geert Wilders recently addressed voters in Almere, a Dutch city of 200,000 where his party handily won elections this week, he told them what to expect as his once-tiny, anti-Islamization party started flexing its new political muscle. Aside from lower taxes and other political staples, his plans for this city not far from Amsterdam include a ban on Muslim headscarves. From the amazing team of GoV, Vlad Tepes and VH, the Wilders victory speech (in Dutch with English subtitles) last night in Almere, the Netherlands. How do you say "Reconquista" in Dutch? Anyway, so it begins in Almere, the Netherlands, where Geert Wilders's PVV party looks like the Big Winner in yesterday's munipal elections, also coming in second in The Hague. Best news in a long time. Geert Wilders, the Dutch far-right anti-immigrant maverick, scored big gains in yesterday's local elections in the Netherlands, according to projections last night, indicating he may dominate the political scene in the run-up to the general election in three months. OK. Let's break it down. Is Wilders "far-right"? That conjures up visions of state-controlled fascism. What is state-controlled-fascist about a politician such as Wilders who wants to lower taxes, which necessarily reduces the goverrnment power? And what, to take a couple of other Wilders programs, is "far right" about fighting crime and keeping the retirement age at 65? Indeed, what is "far-right" or fascist about Wilders' anti-Islamization program to halt and reverse the creeping totalitarianism of sharia (Islamic law), a religio-fascist program based on mosque-control of public and private life? "Playful" students and teachers in The Hague protest Geert Wilders' proposal to de-Islamize the Dutch public square with a ban on the hijab, the Islamic uniform, in institutions funded by taxpayer money. Via Gates of Vienna. "They want to make it clear that a headscarf is not something exclusive to Muslims: “Brigitte Bardot in the sixties also often wore headscarves...."
Remember our British friend Nigel Farage's bracing if also entertaining pushback against the anti-democracy European Union machine posted here? That'll be 3,000 Euros, says the EU -- which converts to $4,078 bucks. UKIP MEP Leader Nigel Farage has been hit with a €3000 fine for accusing the President of the European Council Herman van Rumpuy of having "the charisma of a damp rag". 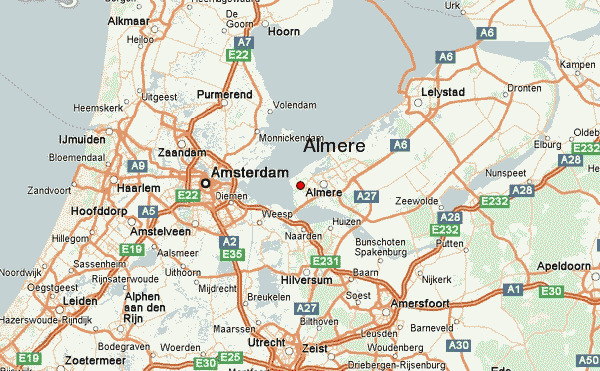 Tomorrow, in municipal elections in Almere, the Netherlands, Geert Wilders' PVV party -- Partij voor de Vrejheid, or Party for Freedom -- is poised to emerge the big winner as polls show PVV winning as much as 30 percent of the vote. A few days ago, Geert Wilders spoke in Almere, an excellent speech full of insights into the Dutch political scene in the wake of its government having fallen. Toward the end of the speech, Wilders describes how his burgeoning political power to reverse the Islamization process may manifest itself. I still have other good news for you. I heard from our party leaders in Almere and the Hague [the other city where the PVV joins the municipal elections], Raymond de Roon and Sietse Fritsma, what the main effort will be for the [coalition] negotiations in Almere and the Hague after March 3 [the municipal elections]: That will be a ban on headscarves in municipal bodies and all other institutions, foundations, or associations, if they receive even one penny of subsidy from the municipality. Thus an immediate ban on headscarves, get rid of that woman-humiliating Islamic symbol. And for all clarity: this is not however meant for crosses or yarmulkes, because those are symbols of religions that belong to our own culture and are not — as is the case with headscarves — a sign of an oppressive totalitarian ideology.